Its plain and simple. This is my favorite thing to eat in the morning when I have time to make a “big breakfast”. The fluffy bread soaks up all of the pesto and yolk to create this delicious sauce you want to eat for every meal. 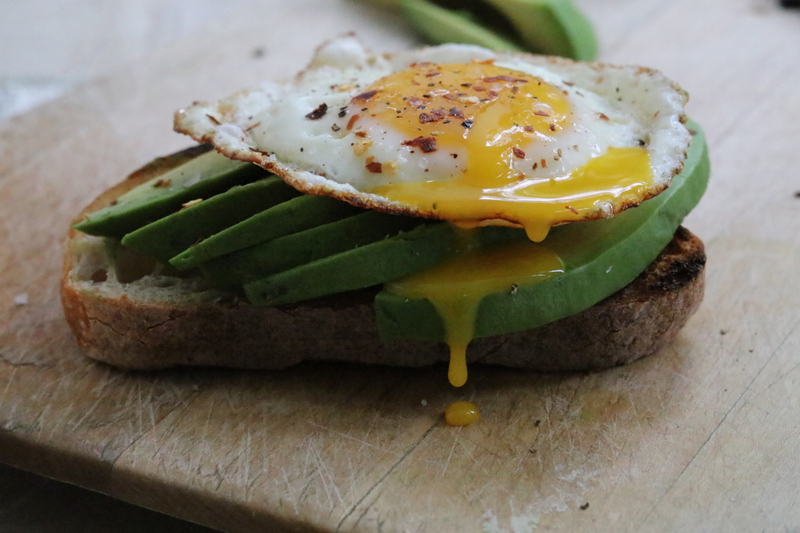 Assemble by spreading the sides of bread with pesto and avocado. Put the cheese down under the egg so the heat melts it. Garnish with chili flakes, salt and pepper to taste. Yum!